The Mullen Buildings consist of three phases. Phases I and II, 73 Sumner and 60 Rausch, are located in a structure that was originally constructed in the 1920s. The building housed the Mullen Company, which designed and constructed architectural millwork for banks and other businesses. Subsequent occupants included a greeting card company and offices for general contractors. The building was converted into live/work lofts in 2002. There are 16 units at 73 Sumner, which includes a common area deck. There are 37 live/work lofts at 60 Rausch, which includes two residential entries and a two-level parking garage. The third phase, 52 Rausch, is new ground up construction. It consists of 8 residential bi-level lofts, offering 2- and 3-bedroom floor plans. Designed by George Hauser of Hauser Architects, the Mullen Buildings offer a modernist, industrial aesthetic with concrete and steel finishes. Many homes include color-stained concrete or natural stone floors with radiant heat, stairs and guardrails with mill-grade steel, and private decks. Kitchens offer concrete countertops, stainless steel sinks and appliances. 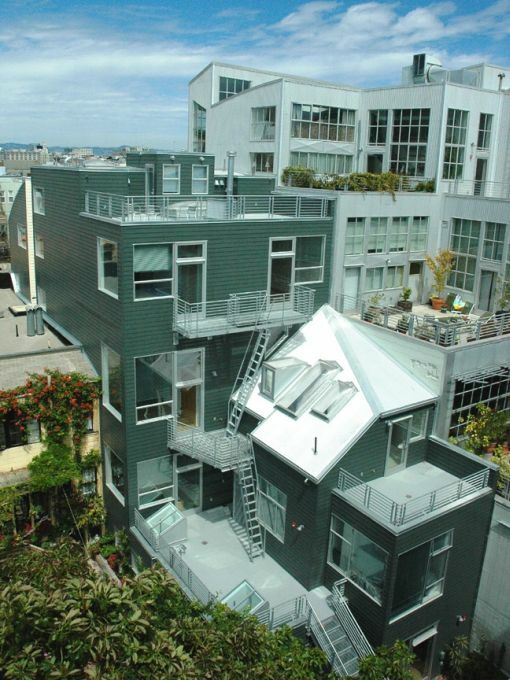 All homes in the Mullen Buildings are located along two, quiet, tree-lined streets in central SOMA.